Van Life T-shirt. 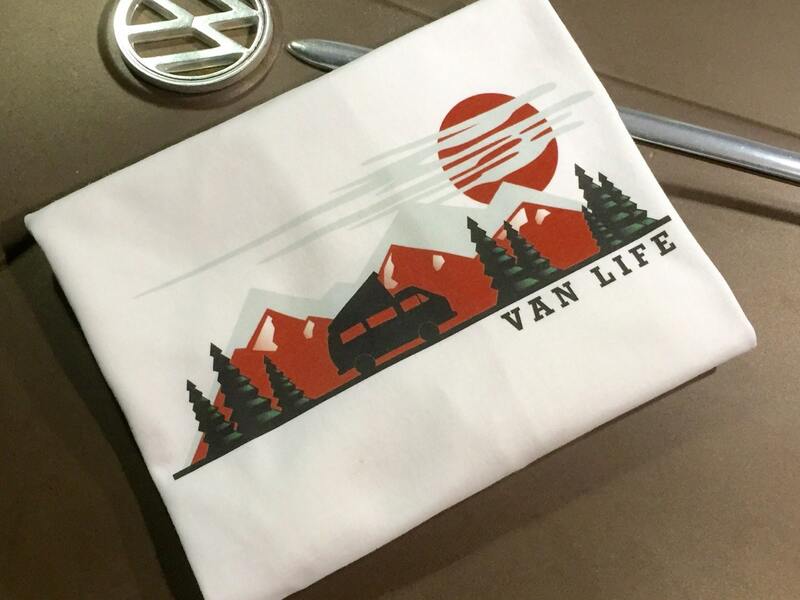 100% cotton, preshrunk T-shirt with colorful full front Van Life design. These are printed to order right here in the Volkswear Garage and typically ship same day. Sizes S-2XL. PLEASE SPECIFY SIZE AT CHECKOUT. Van Life T-shirt. Volkswagen Westfalia, Westy, Campervan, Camper Van, Camping, Camp More, Outdoors. Great customer service and the shirt was perfect! Thank you! Shipped really quickly and is a great product. Classic Volkswagen Bus Blueprint T-shirt. Full front print on a 100% cotton preshrunk Tee. White shirt, Blue ink print.